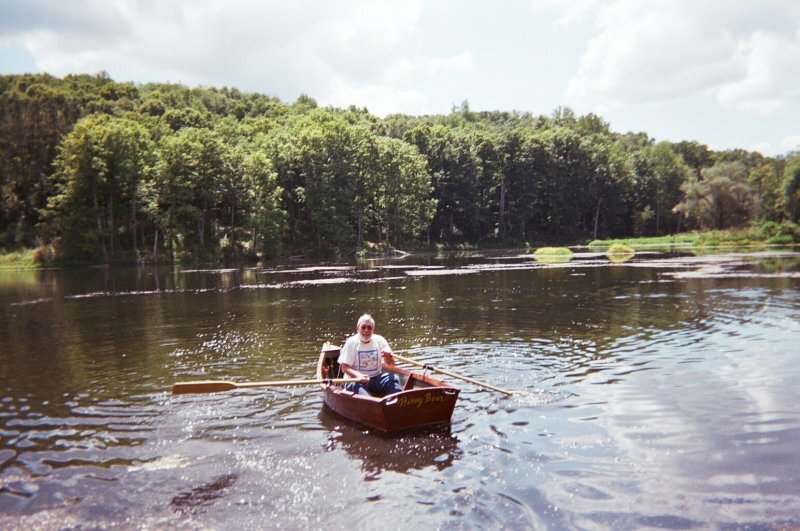 Ralph Fogle designed and built HONEY BEAR, a 9′8″ × 3′8″ rowing skiff. He planked the sides with 1/2″ tongue-and-groove spruce, and the bottom with 5/8″. He used stainless steel square driver screws for fastenings, and finished the hull in clear epoxy. 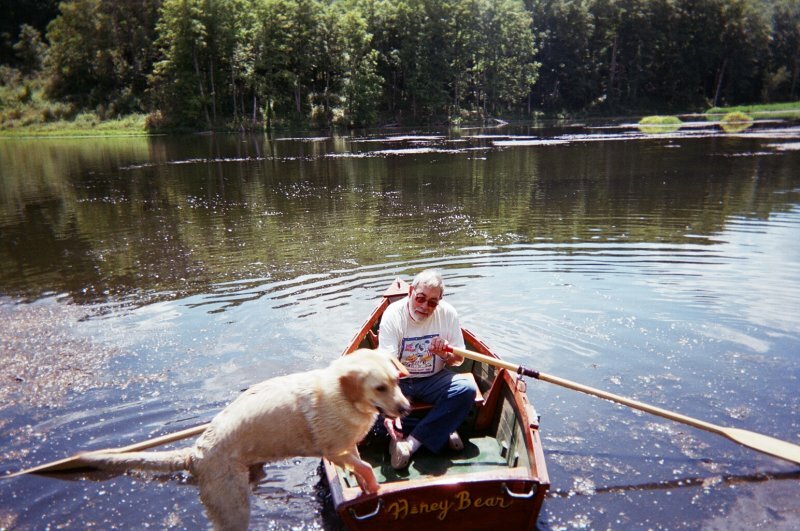 With assistance from his wife, Darlena, and his labrador puppy, Barlow, Ralph launched HONEY BEAR on August 18, 2012 near their home in West Lafayette, Ohio. 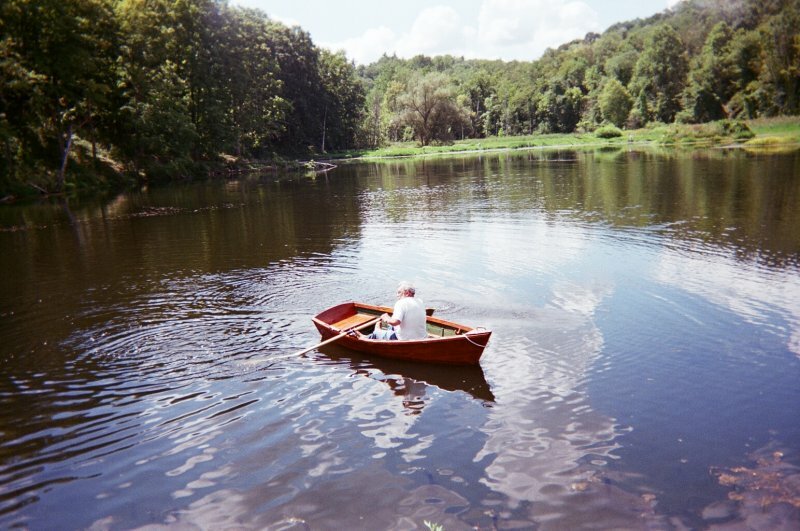 Ralph writes that she is best suited as a one-man fishing boat for three meandering rivers and numerous ponds found in Coshocton County, Ohio. He is already considering his next build—something the whole family can fit in.